I put the vertebra in place, one by one. Managed to crawl out of the couch. 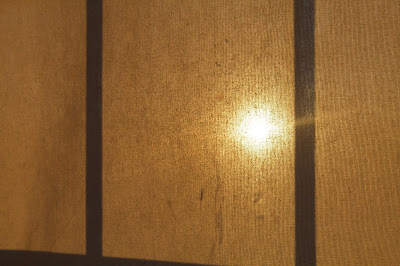 The evening sun tried to blow itself into the living room. I put my hand up to shadow my face and went into the kitchen. She stood at the kitchen sink. Holding a plate. I laid my hand on her shoulder. She turned around. I brought her into my arms. She rested her head on my shoulder. For a long time. I noticed her eyes were wet. -I don`t know, she said. -I guess I`m very tired. -I guess we both are, I said.